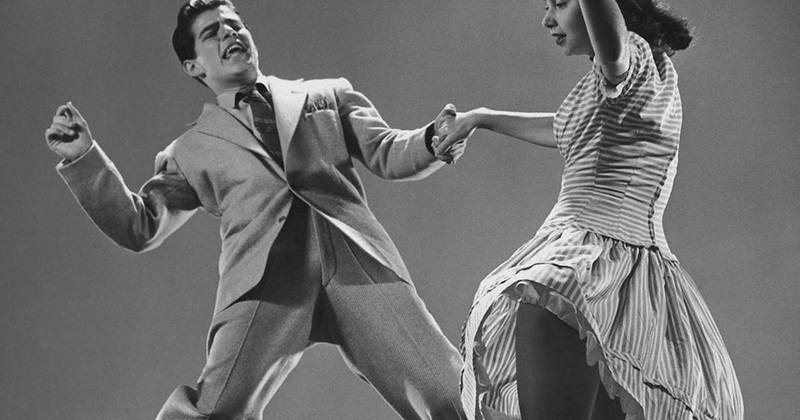 In this 6-week course, you'll learn how to dance the Lindy Hop. After six weeks, you'll know how to lead or follow more than 16 Lindy Hop moves & turns. You'll also learn the fundamental Lindy Hop positions and footwork, plus solid partner-dancing techniques. At the end of this course, you'll be comfortable with Lindy Hop, and will enjoy dancing the Lindy Hop anywhere there's music! Lindy Hop is a fun, energetic, and versatile form of swing dancing that has surged in worldwide popularity over the last three decades. Today, Lindy Hop is THE dance of choice among modern swing dance crowds across the globe, with dances in every major city and lindy exchanges every weekend of the year! Whether the music is classic or contemporary, Lindy Hop is a great dance to know for just about any occasion. It can be danced to tempos from slow to fast, to just about any kind of music! Learning Lindy Hop allows you to advance far in your swing dancing, and it's also the most impressive swing-dance form to learn for performances and competitions. This course focuses on 8-count patterns that are unique to Lindy Hop. But once you're good at Lindy Hop, you'll want to add into your Lindy Hop all of the East-Coast Swing (both single-step and triple-step variations) that you learned in other courses, and all of the Charleston that you learned in other courses. That means anything you learned dancing East-Coast Swing or Charleston, can also be danced in Lindy Hop! Lindy Hop adds a whole new world of possibilities to your swing dancing, from Swing-Out variations, to sophisticated styling, to syncopations, to advanced footwork, to jazz steps, to advanced partner interactions. The bottom line is Lindy Hop is a must-learn dance for those who wish to progress in their swing dancing. PREREQUISITES: None. Whether you're new to Lindy Hop or have taken several classes, try these out — we'll get you dancing the dance! PARTNERS: No partner is needed. People are welcome either with or without a partner. To maximize learning, all participants will be required to rotate and to dance with the entire class. TUITION / FREE REPETITIONS: Tuition is $70 for the 6-week course. Please bring cash or check to the first week of class. Tuition includes all six 60-minute sessions, six hours total of instruction. It also includes up to three free repetitions of this course! That's right....If you don't master the material the first time around, or if you happen to miss a week, you may re-register and re-take the same course up to three times at no additional cost! Our foremost goal is for you to become a great dancer. Offering free repetitions is the best way to accomplish that goal, because in the dance world, repetition equals learning and improvement. This free-repetition offer is valid as long as this same course is still being offered. REGISTRATION: We encourage you to register in advance (no payment required). Click "register in advance" link, and you'll be taken to the Simone Salsa website. There, click "Register Here" link under Lindy Hop 1. Then fill out the form and click the "Register" button. You can also register the first day of class at the studio, but please arrive early! WHEN TO ARRIVE: All classes start and finish promptly at the scheduled time. Please arrive early for each class, and 15 minutes early for the first class. This will give you time to warm up prior to the class, and will ensure that you don't miss the important material that starts each class. WHAT TO BRING: Please bring or wear comfortable clothes, bottled water, and swing-dance shoes such as oxfords, dance sneakers, etc. (Heels are NOT recommended for Lindy Hop.) Shoes should allow you to pivot freely. Leather-bottom or suede-bottom shoes are best. MORE INFO: Please contact us (at least 24 hours in advance) if you have questions or for more info.